When thinking of seasonal travel in Japan, spring with its world-famous displays of sakura (cherry blossom), is usually the time of year that first comes to mind. However, autumn/fall in Japan arguably produces an even more stunning display. One of the red, golden and yellow-hued leaves of the millions of trees that cover Japan. A sight that extends right across the Japanese archipelago. More than 70% of Japan is covered in mountains. Most of those are covered in forests. That’s a lot of leaves to see. Autumn in Japan runs from September through to November. Unlike the blossoming in spring, celebrated by the Japanese for its fleeting nature, the colours of autumn (koyo in Japanese) is a slow burn act of nature. Leaves gradually change from vibrant greens to blazing reds over many weeks. This makes arranging to see them a less frantic affair than it can often feel in spring. With a little forthought and planning, it’s possible to see the finest nature has to offer over weeks rather than days. The north of Japan is considerably cooler than the southern most islands. It is here that the spectacular transformation begins. The golden hues steadily sweeping from the north to the south throughout the season. The large island Hokkaido is the northern most point of Japan’s island chain. You’ll find the first burst of colour from the Japanese acers (or maples as they are also known) during mid-September. In the central and northern regions, on the main island of Honshu, it is mostly during the second half of October and into November that the best displays can be seen. 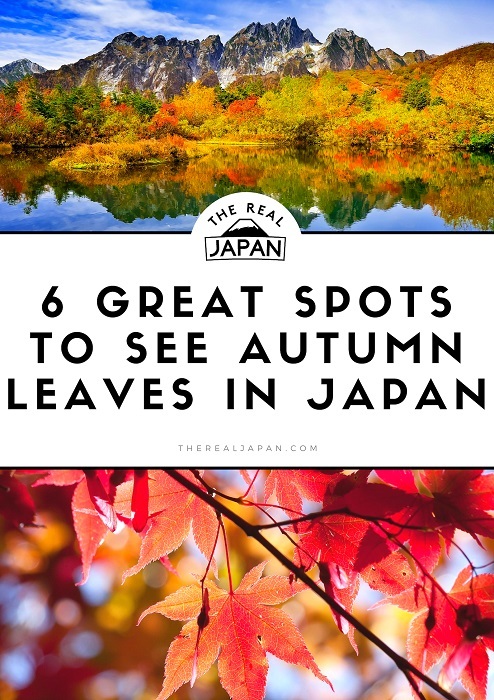 Note: due to their subtropical climate, the southern most islands such as Okinawa and the Yaeyama Islands are not ideal for viewing autumn leaves. Toyama Prefecture is located half way down the main island of Honshu, overlooking the Japan Sea. It is home to East Asia’s only known glaciers outside Russia, and benefits from cheap electricty generated by the abundant hydroelectric resources. 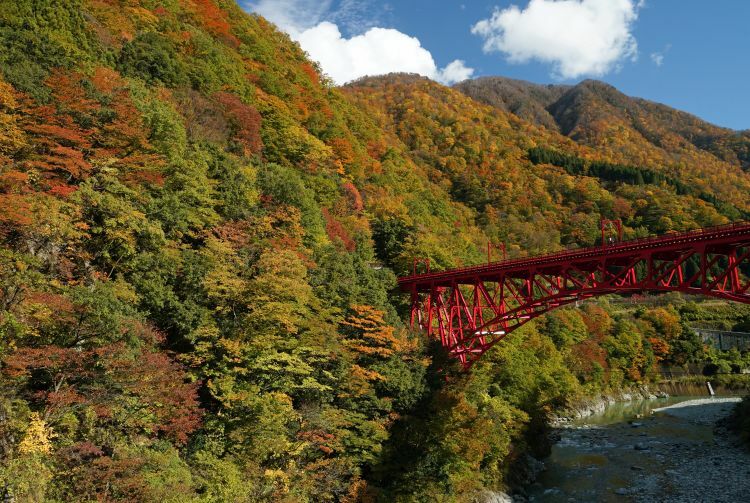 Kurobe Gorge is found in the Northern Japan Alps. A natural and rugged ravine, it is accessible via the Kurobe Gorge Railway. Originally built to aid the construction of Kurobe Dam, it has been repurposed into a siteseeing train. The 20 kilometer route weaves its way in and out of the mountain range, crossing over 20 bridges and through more than 40 tunnels along the way. Not only are there some spectacular panoramic views of the gorge below during the journey, but the train also stops at stations en route. Meaning visitors can get off, do a little exploring and take photographs of the glorious patchwork of autumn colours covering the mountains. Note: trains only run between April and November. Tucked away in the heart of Nara Prefectue, the Mitarai Valley can be found in beautiful Yoshino. 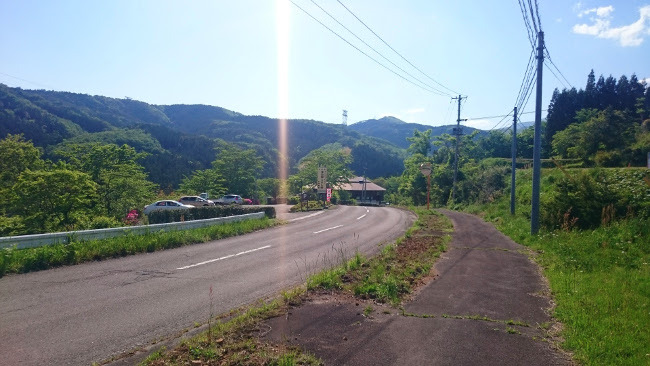 There’s no direct train or road access to the valley itself, so Mitarai is best suited to those happy to hike their way off the beaten path to the see the crimson leaves. I spent time in Yoshino back in January – it was stunning. Access is via train to Kintetsu Shimoichiguchi Station. Then take the bus bound for Dorogawa Onsen, alight at Tenkawa Kawai. It’s then approximately a 45 minute hike from there. 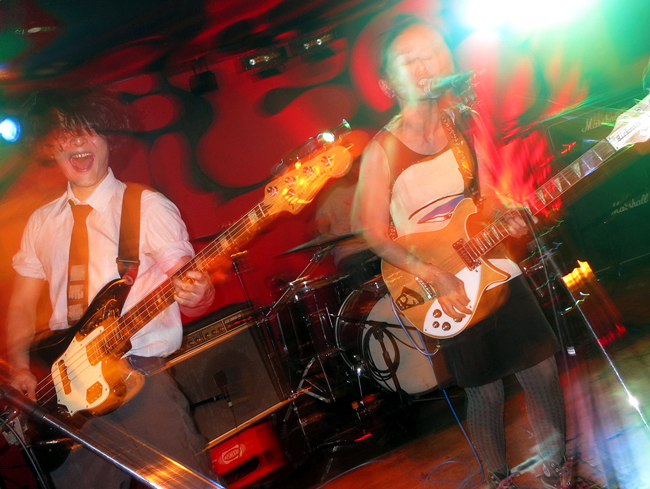 Heading further south to one of my favourite islands – Kyushu, it’s here you’ll find Mt. Karakuni. The mountain’s name refers to Korea, and on a clear day the Korean Peninsula is visible in the distance. 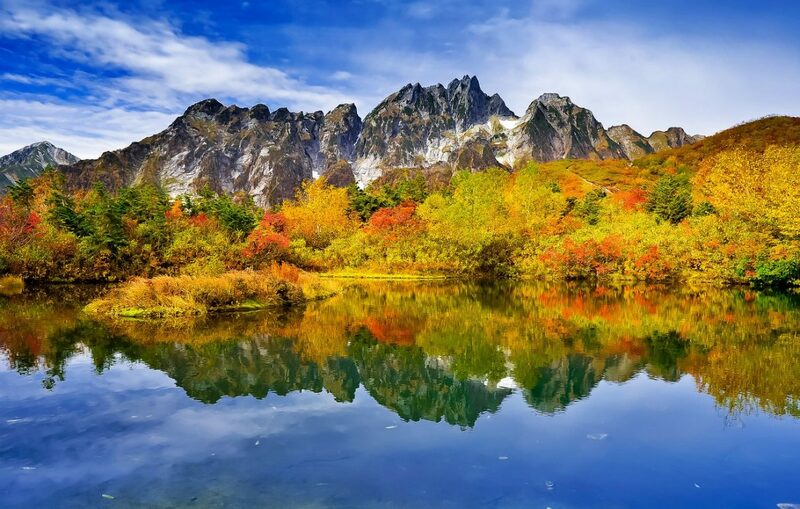 At 1,700m it’s the highest peak in Kyushu’s Kirishima mountain range, and part of Kirishima-Yaku National Park. For the best views of the autumn leaves you’ll need to get up high. But it will be worth the effort, as its summit offers incredible views into both Miyazaki and Kagoshima prefectures. The good news is that the mountain is readily accessible both by road and public transport. If you’re taking the train, head to Kirishima Jingu Station or Kobayashi Station. Hakone is one of Japan’s most popular tourist destinations. Many come here for the natural hot springs (onsen) that abound in the area. And many of them are seeking some relaxation, a chance to connect again with nature. The iconic Mt. Fuji sits majestically in the landscape here, providing the perfect backdrop to photographs taken by the millions of visitors each year. The contrast of vivid green, orange and red leaves is striking and an ideal place to walk. Here rivers wend their way through the forests, passing Shinto shrines and Buddhist temples. It’s possible to get from Tokyo to Hakone in just 30 minutes by helicopter. This the quickest way to get from Tokyo to Hakone (the bullet train typically takes around 2.5 hours). The views of the trees below should be awesome! You can read more about and book the helicopter transfer HERE. Famed within Japan for its red leaves during autumn/fall, Kankakei Gorge on the island of Shodoshima in Japan’s Seto Inland Sea is my personal recommendation. I’ve been here several times – the first of which was on my honeymoon – and it’s unspoilt, authentic character continues to tempt me back. 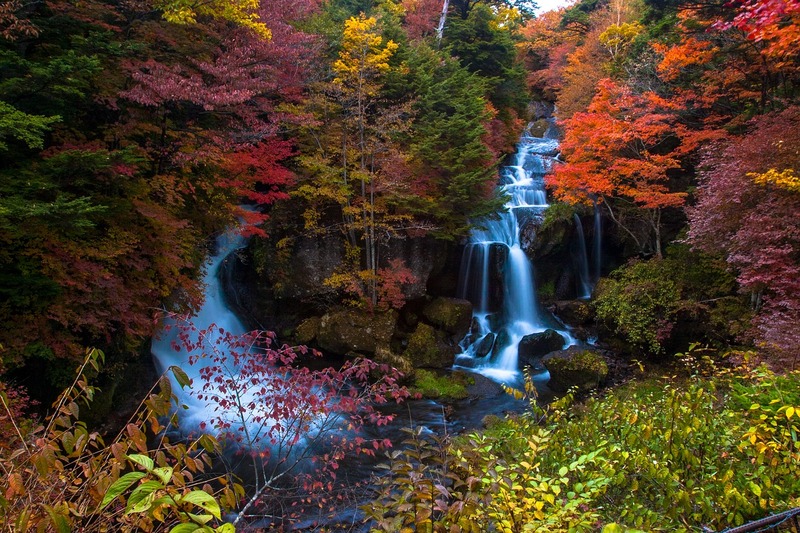 The gorge is one of the country’s nationally-designated Places of Scenic Beauty and designated one of the ‘100 Landscapes of Japan’. 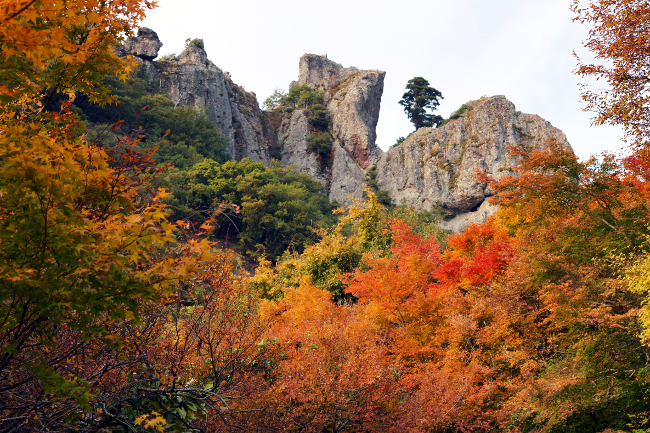 For the best views of the blazing autumn leaves, you need to head up the mountain in the centre of the island. Disembark part way up, and transfer to the Kankakei ropeway. This is a cable car that will take you up through the gorge itself, to a park at the top of the island – where there are some glorious 360º views. The spectacular display typically reaches its peak in the second half of November. Understandably, Kyoto is perhaps the most popular place in Japan to view this seasonal spectacle. Within the one city, it is possible to look down on the ancient capital from on high to view the leaves, or to see them in a quiet, intimate setting like the back garden of an old samurai house. There are two famous spots that, if you don’t mind (or can dodge) the crowds, are worthy of their fame. 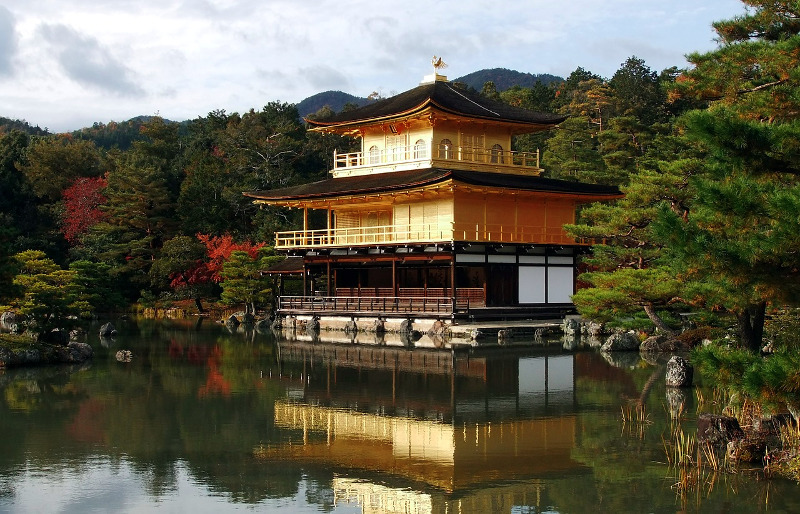 They are Kinkakuji, also known as the Golden Pavilion, on the northern edge of the city, and the world-famous Kiyomizudera, the unmistakable (and huge) Buddhist temple on Mount Otowa known for the scenic views from its veranda. Dating back to 1397, Kinkakuji (or Rokuonji to give it its official name), has almost mythical status within Japanese culture. It was one of the places I visited when I first came to Japan. It made an lasting impression on me and looked every bit as beautiful as it appears in photographs. Viewing the leaves here feels quite different to all the other places in this list as the temple nestles at ground level and is more secluded. The experience here isn’t about vast panoramic views, but more about seeking to capture that perfect moment of serenity. A blue sky, the sunlight glinting off the gold leaf on the pavilion and a perfect mirror image reflected in the lake on which it sits. Add to this an embrace of the golden hues of autumn leaves at their peak and you have one of the most indelible images of Japan. 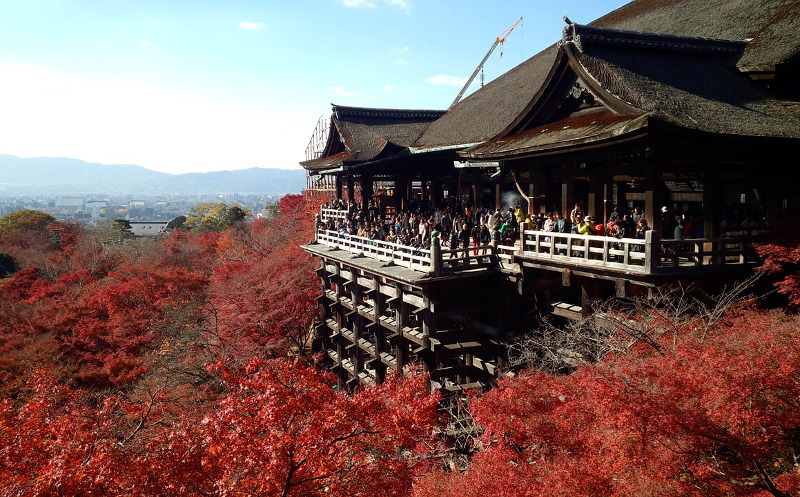 Likewise, Kiyomizudera is also worth building into any itinerary for Kyoto, especially if it is your first visit. Positioned halfway up Mt. Otowa, one of the peaks in Kyoto’s Higashiyama mountain range, there’s been a temple here since 778. The steep approach to the temple, with its teasing views of the autumn colour, is part of its attraction, making your arrival and views back over the city all the more rewarding. Read more about Kiyomizudera HERE. Honestly, both of these are worth a visit at any time fo the year, but each comes into its own when the forest of leaves surrounding both structures are midway through changing tone. 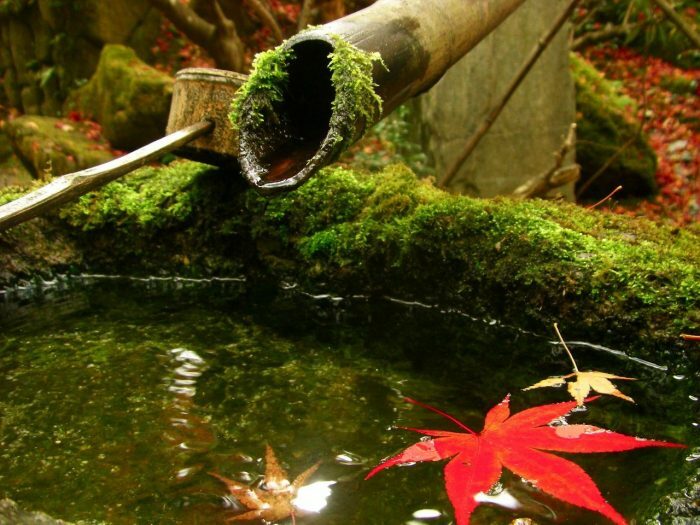 Mid November to early December is the time for viewing the leaves in Kyoto at their finest. As ever with Kyoto, aim to arrive first thing in the morning and schedule your visit for a weekday to avoid the worst of the crowds of tourists also seeking out the same vistas. Here’s something a bit special to add to the list that you may not have heard about before. Shikizakura is a rare cherry blossom which blooms twice a year, spring and autumn. 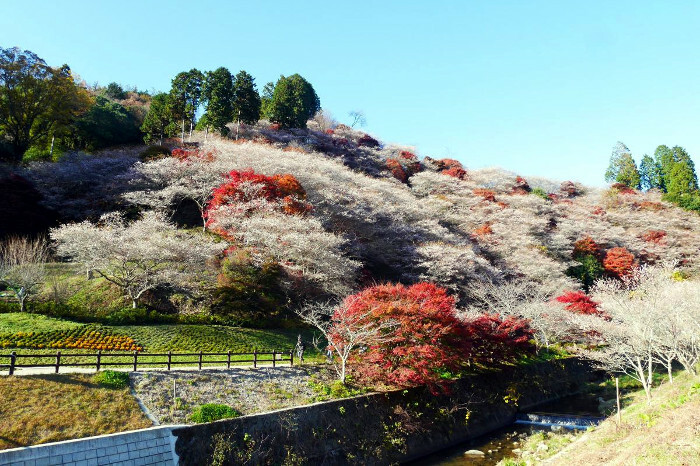 In Obara (not far from Toyota City), Aichi Prefecture, you can witness the rare sight of the light pink shikizakura blossom and bright red koyo leaves. The combination of the two is said to be breathtaking. TRJ travel partner Klook offer a day trip from Nagoya to Obara to view the shikizakura and koyo. 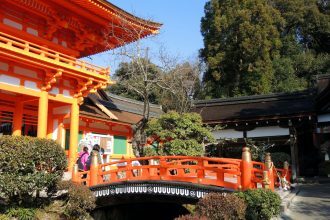 The package also includes Kokeizan Eiho Temple and its Japanese garden and koyo, and the Korankei Valley, famous for viewing autumn leaves. Read more about Obara HERE. 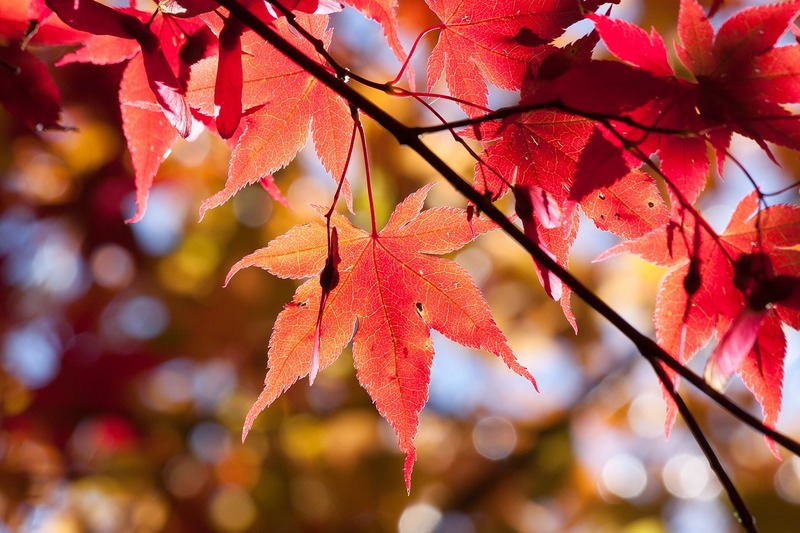 So, those are just 6 of my suggestions for viewing autumn leaves in Japan. Plus my shikizakura bonus, of course. However, with millions of trees covering Japan, there are hundreds more places to see offering equally exceptional sights. That’s the great thing about continuing to explore this incredible country. They’ll always be more to see on your next trip. Time to get planning! Have you seen the autumn leaves in Japan for yourself? If so, where did you go, and would you recommend it? Let me know by leaving a comment below. Hearing your feedback about your experiences is interesting to me and helpful to other readers, so please share your thoughts or questions. Browse my Autumn/Fall board on Pinterest HERE.